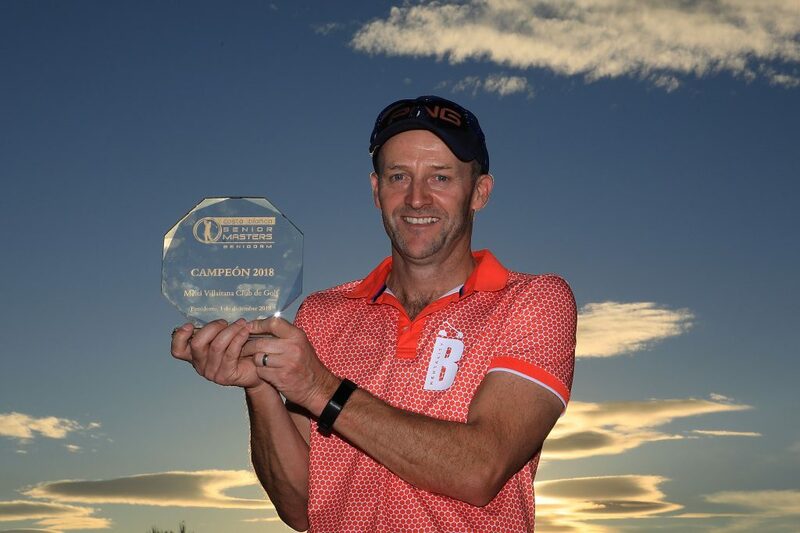 Paul Streeter became a two-time Staysure Tour winner after beating Miguel Ángel Jiménez in a play-off at the inaugural Costa Blanca Benidorm Senior Masters at Meliã Villaitana. Streeter, who won his first over-50s title at the Travis Perkins Masters in September, bogeyed the 54th hole for a round of 67 and a 14 under par total. The dropped shot saw him head into a play-off with the two-time Senior Major winner and home favourite Jiménez, following his bogey-free round of 65. Both players found the fairway on the par four 18th and the Englishman hit a stunning second shot over the troublesome greenside bunker, landing it three foot from the pin. The Spaniard, who was roared on by the home crowd all week, could only find the heart of the green and left himself a tricky downhill putt from 15 foot. With The Senior Open Presented by Rolex champion two-putting for par, Streeter grasped the chance to become the maiden Costa Blanca Benidorm Senior Masters champion as he rolled his birdie putt into the middle of the hole. Having gained his 2018 Staysure Tour card via the Final Stage of Qualifying School, Streeter did not worry about nerves on his way to clinching his second title of the season. “I didn’t feel the pressure during the play-off because I’m a rookie and Jiménez is a Senior Major winner,” he said. “I felt less pressure during the play-off than I did in normal time. “To hit that second shot on 18 that close and below the hole, I couldn’t have put it in a better place, so it was great to finish like that. “I’d say that shot is up there with the best I’ve hit in my career. To do it against such a great champion like Miguel makes it feel even better. Jiménez, who was making his maiden regular Staysure Tour appearance, took the runner-up spot, while fellow overnight leader Rafael Gomez recorded a round of 70, two under par, to take a share of third place alongside David Shacklady after his bogey-free round of 67. The final round of the inaugural event was also the last professional round for Eamonn Darcy. The four-time European Tour winner, who holed the winning putt in The 1987 Ryder Cup as Europe won for the first time on American soil, signed for a bogey-free five under par round of 67, one shot shy of shooting his age of 66 years old. 260 A Duran (Esp) 89 87 84.